We are proud of all our team members here at Homefix Custom Remodeling, but have a special respect for those who have served our country through the armed forces. 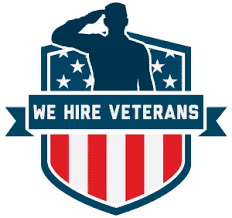 Corporately, we champion several causes and organizations that promote veterans. This stems from out tremendous gratitude for those who have served. Our gratitude begins here at home, and we would like to recognize some of those who have served our country before they came to serve our HCR customers. Jay Jelks is a retired 20 year veteran of the United States Marine Corps. He enlisted in June of 1996 as an Infantry Marine and served as an Amphibious Raid Force Team Leader from 1996 -1998. In 1998 he was selected to the Maritime Special Purpose Force and served with 1st Force Reconnaissance Company 2nd Platoon until 2002. He completed a lateral move into the Military Police Field where he served as a Patrol Officer and SWAT officer. During his career he commanded 3 SWAT teams, taught at the Marine Corps SWAT academy and served as the senior Tactical Law Enforcement Advisor to Head Quarters Marine Corps. He is combat veteran and experienced Tactical Law Enforcement Officer. Jay is active in community outreach and many philanthropic efforts in his spare time. His hobbies are reading, scuba diving, kayaking, and professional speaking. He is married to Laura Jelks of North Potomac MD. They have 3 children, Autumn, Gavin, and Hailey.